I ran across this brooch in an antique store recently. It is yellow and has lots of sparkle. A great "Bling" piece! 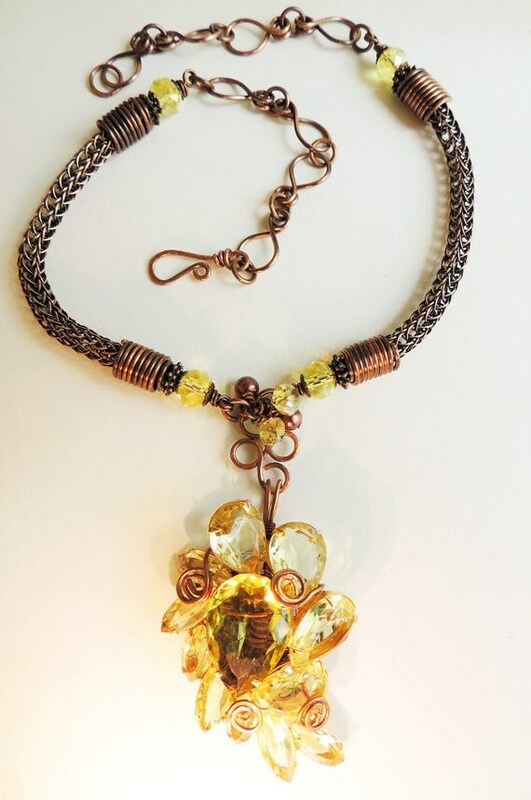 I have wired the pendant with copper wire and I made a copper viking knit necklace with handmade chain and yellow glass crystals. 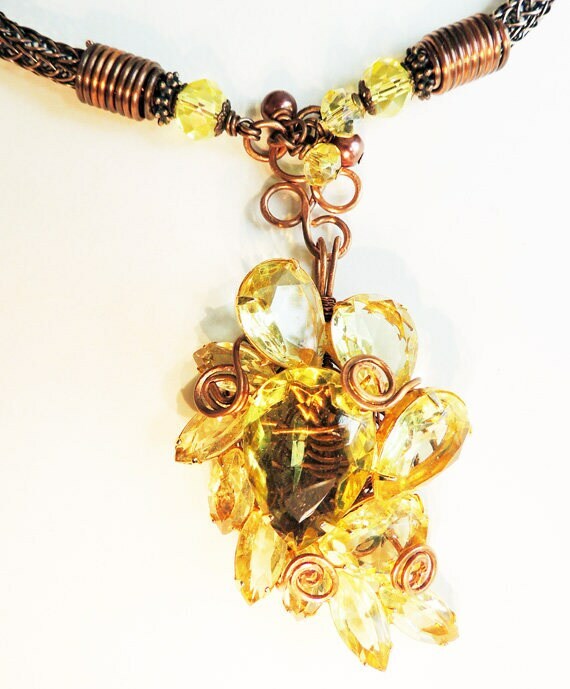 The pendant also has glass crystals and Swarovski glass copper pearls.